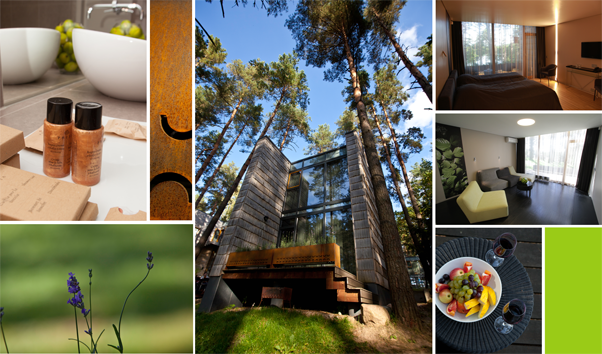 Tony Resort is set in a beautiful Lithuanian location - the managed pine forest of Anupriskes. 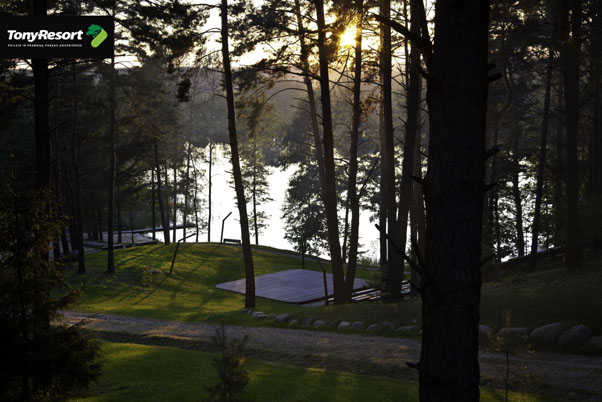 Lake Gilusis sparkles within the territory of the park and from the hilltops you can see peaceful forest landscapes and a real Lithuanian swamp. These are the most valuable assets in this business - the gifts of nature that can be "tasted" by all who visit. Hotel guests are invited to enjoy the tranquility and stay in separate cottages situated within 40 ha of park territory. 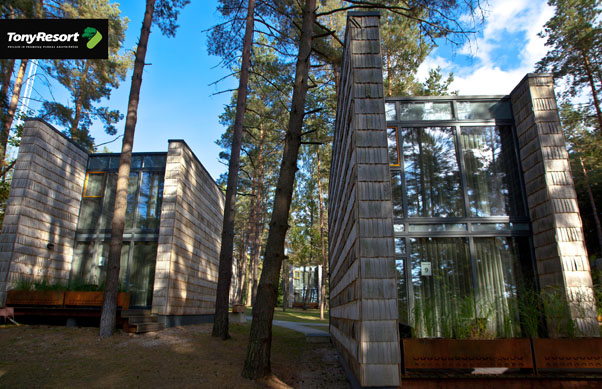 With 18 stylishly designed modern cottages tastefully arranged on pine-covered hillside overlooking a lake, plus 20 guest rooms in two conference houses, everything is easily accessible in a single location. The hotel may accommodate up to 130 guests at once. Each cottage is made from natural materials, allowing them to to blend in with the surroundings, and each has a glass-walled facade and its own sun-dappled terrace - where the in-house restaurant can bring your own grill.